In Japan, Kit-Kat offers many unique only-in-Japan flavors. 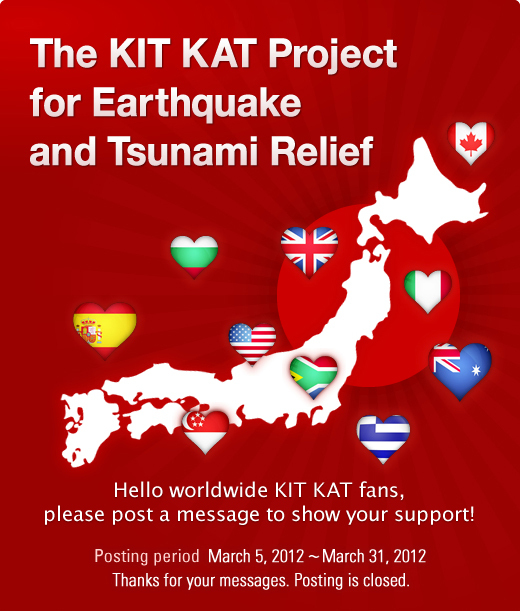 But one of their recent products was for a special cause…the “Kit-Kat World Variety” went on sale in Japan last March and ¥20 from each package sold went toward the rebuilding of the Sanriku train line (in Tohoku, Japan) which was destroyed in the 2011 March 11 earthquake and tsunami. 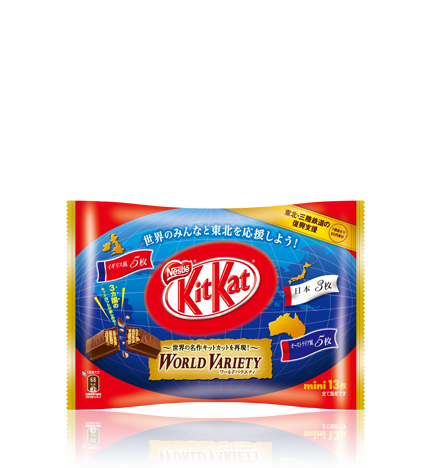 What makes Kit-Kat “World Variety” unique is that the package contains thirteen Kit-Kat chocolates…three are from Japan, five are from Australia and the other five are from England…this is because chocolate is made slightly differently in every country around the world and therefore tastes differently. In addition to donating to the reconstruction of the train line, Kit-Kat also asked people from around the world to visit their Facebook page and leave messages of hope to the people of Tohoku who were affected by the disaster…and many of those messages were displayed on the body of the new trains for the Sanriku line. Another new only-in-Japan “junkfood” product will be by Pepsi Japan soon. Last December, Pepsi Japan offered “Pepsi Pink“. And, next month, they will begin selling “Pepsi Black“. This drink will contain 50% less sugar and will have a “lemon flavor”. As always you seem to have the most interesting line on new products popping up. Thanks for sharing… Pepsi black looks a lot like Twist, which was so big for awhile, then petered out. I still see a few old pepsi twist advertisements on vending machines in Okinawa. 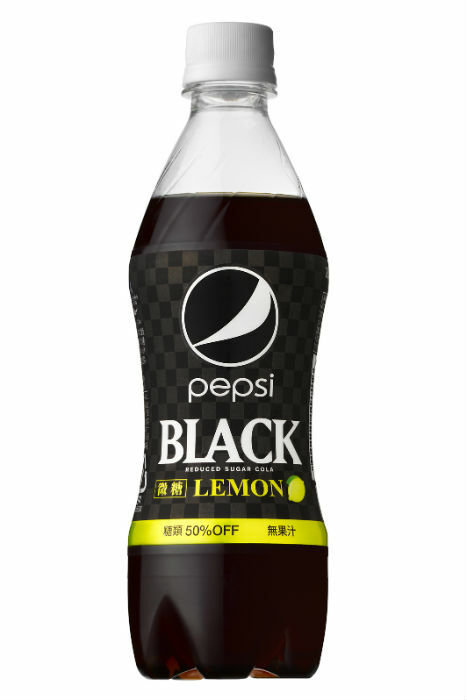 I guess Pepsi Black reminds you of Pepsi Twist because both have (had) lemon flavor. I’ve never bothered to try Pepsi Twist so I wouldn’t be able to say whether or not they taste alike. Anyway, are you in Okinawa? I like Okinawan cuisine … do you eat much Okinawan food?